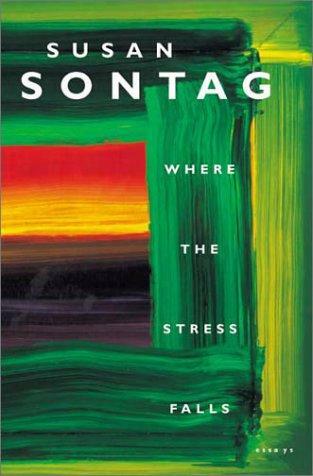 I recently read a short essay by the late and much esteemed Susan Sontag entitled “A Note on Bunraku,” from her 2001 collection Where the Stress Falls. Her discussion focuses on traditional Japanese bunraku puppetry, which I have to admit I haven’t strictly encountered, since Disfarmer, as chronicled in Puppet, is a western adaptation of the same style. That said, it’s an interesting read at four pages – she returns several times to the dualistic nature of puppets and the way bunraku captures this so effectively. In the traditional form, the emotional content of the performance is very deliberately split between the puppets on stage and the narrator, who stands beside the stage but in full view of the audience. Traditional bunraku is apparently characterized by extremes of emotion, particularly anguish and sadness, and Sontag’s take is that effectiveness of bunraku derives from the physical separation of the silent puppet, manipulated by three on-stage puppeteers, and the narrator, who is wracked with emotion but doesn’t physically participate in the drama. 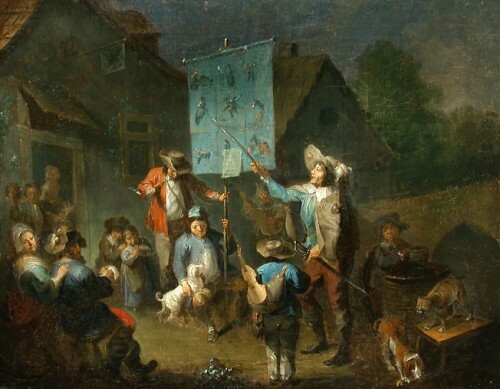 Similarly, she considers the juxtaposition of two hooded and one hoodless puppeteers on stage to be vital to the dramatic tension of the show; the larger-than-life (from the perspective of the puppet) beings that alternately serve as “the puppet’s servants, at other moments its captors” take two distinct forms on stage, one god-like and visible, the other passive and hidden. This all got me to thinking about another book I’ve been reading lately: Gödel, Escher, Bach by Douglas Hofstadter. GEB is a weird book, to say the least; in short, it discusses the works of Kurt Gödel (mathematician), M.C. Escher (illustrator), and Johann Sebastian Bach (composer) and their relationship to one other, but it pretty quickly diverts this discussion to illustrate how concepts like recursion, self-reference, and analogy lead to (among numerous other things), intelligence. Hofstadter spends quite a while geeking out about the idea of “isomorphism,” defined (care of good ol’ Wikipedia) as “a kind of mapping between objects that shows a relationship between two properties or operations.” Which is where Sontag’s essay comes back in. As I understand it, an isomorphism is a way of interpreting the same concept or structure in two distinct ways. The drama and effectiveness of bunraku, as Sontag describes it, seems to depend critically on isomorphisms – isomorphism between the text of the play and the play itself, between mute but physically expressive puppet and the eloquent but impotent narrator, between the actions of the puppet which draw the audience’s eye and the black-clad puppeteers who fade from it. What’s fascinating about an isomorphism is that the same information is contained in both of its incarnations; the transformation between the two is essentially a perspective change that allows the same core concept to be considered in two distinct ways. It’s probably trivial to spot isomorphisms all over the world of theater, but in puppetry, which takes the separation of action from actor to a kind of logical extreme, they seems especially integral to the structure of the performance.